Breadcrumb NavXT Polylang Extensions improves Breadcrumb NavXT’s support for Polylang. 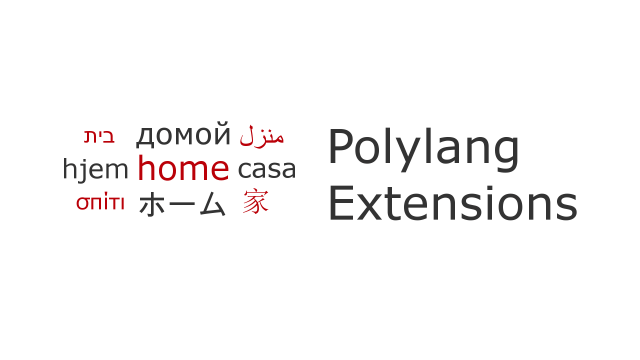 With Breadcrumb NavXT Polylang Extensions, string based settings within Breadcrumb NavXT and Custom Post Type root pages are now translatable within Polylang. Bug fix: Fixed issue with incorrect update notice experienced in 1.5.0. Behavior change: Translates home breadcrumb URL for breadcrumbs automatically. Behavior change: Improved translatable HTML fields usability by switching to textarea from text inputs. Bug fix: Fixed Breadcrumb NavXT widget string translations that were missing in Polylang 2.1+.